It’s July, and the summer break is just around the corner. You know what that means… The kids will be bored. 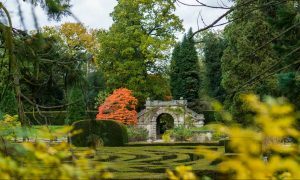 However, we know how difficult it can be to plan a holiday that the whole family can enjoy, so we’ve put together a few ideas for fun, family activities around the Peak District. From stately home tours to music festivals, it really does have something for everyone. Here are our top picks for school holiday events and attractions that are well worth your while. This is a 5 day event is full of awesome outdoor activities for children ages 8 to 12 years. You can also join for individual days to take part in some fun, challenging activities that are designed to get kids moving. Since this camp is residential, why not book yourselves into one of our holiday cottages? 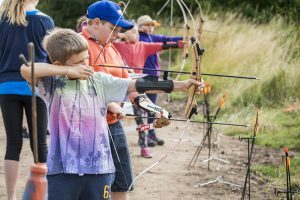 You can enjoy peace and and tranquility in the countryside whilst the kids camp out and have fun. 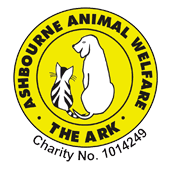 This family event, hosted by Ashbourne Animal Welfare, is perfect for animal lovers. Enjoy watching show entries such as best puppy and best biscuit catcher whilst supporting a great cause. Chatsworth House provides a wonderful family-friendly day out. Meet the farmyard animals and enjoy a guided walk with some live music any day of the summer holidays. 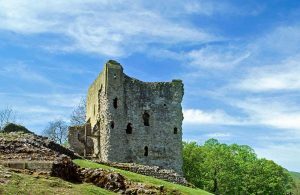 These historic ruins set high above the charming village of Castleton date back to 1176 when it was a keep used by Henry II. Visit on 28th and 29th July and journey back in time with their Medieval Life event. 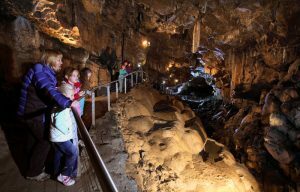 Go beneath the earth with expert guides and explore the impressive limestone caverns lined with crystal stalactites. There’s also beautiful woodland trails and panoramic views at Solomon’s Temple. We hope that you found some inspiration from our school holiday events. If you’re still planning your summer getaway, we have some availability at our dog-friendly holiday cottages and caravan site. With cottages that sleep between 2 and 12 people (or even 26 with prior booking) and extensive grounds to enjoy, we have accommodation to suit all. Contact us today to make an enquiry.